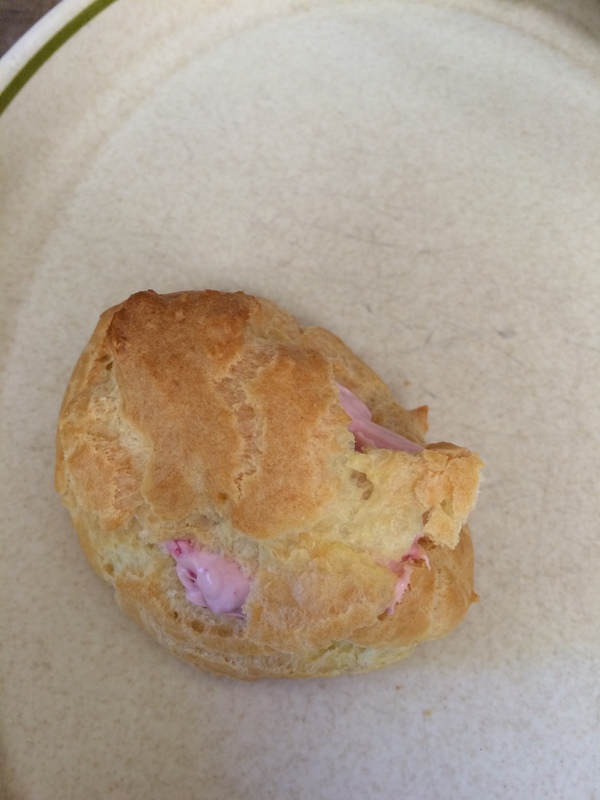 You are currently browsing the tag archive for the ‘raspberry filled cream puffs’ tag. I’m deep in raspberries here. 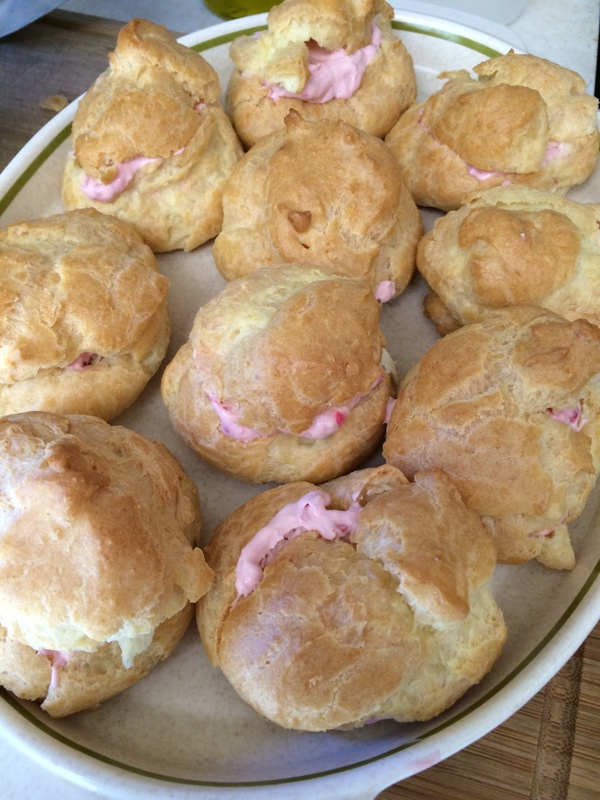 It’s kind of funny how thoughts of making a peach-raspberry crisp can morph into actually making raspberry cream puffs. It turns out my husband ate all but one of the peaches and . . . the nectarines were . . . gone. 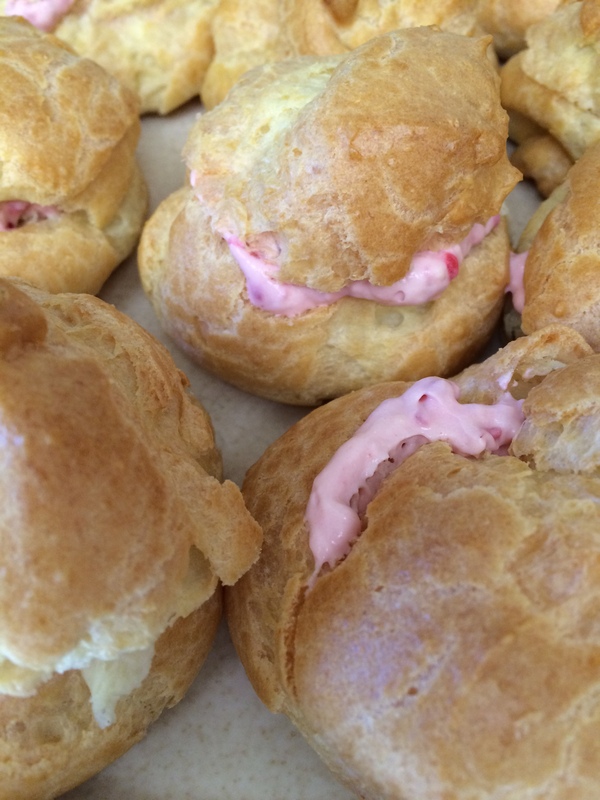 I had forgotten how easy cream puffs are to make. I used to make them a lot when my kids were little. My favorite filling is a chocolate mousse-type filling. 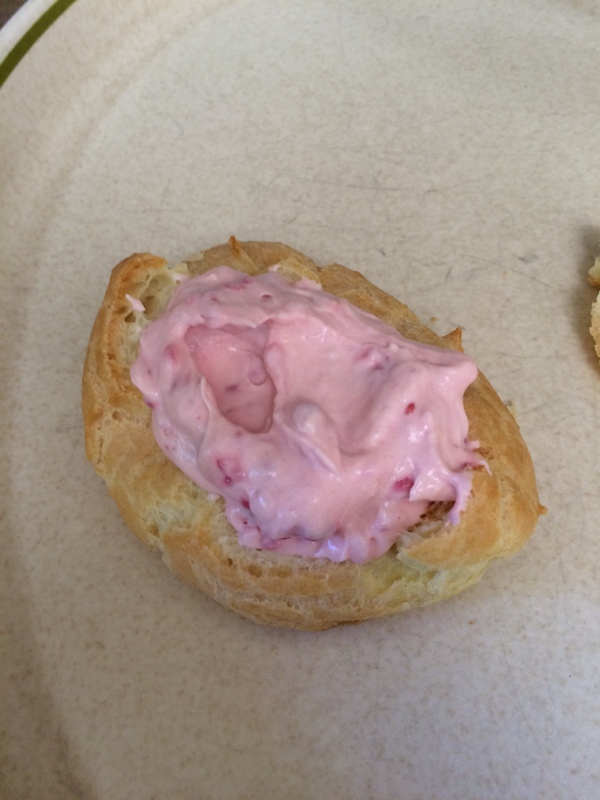 When I read the Pioneer Woman’s recipe for raspberry cream pie, I thought that her pie filling would make a good cream puff filling so I tweaked it a bit and here we are. I’ve included my favorite Chocolate Filling recipe, too, and now wish I had made Chocolate Raspberry Filling. Next time! 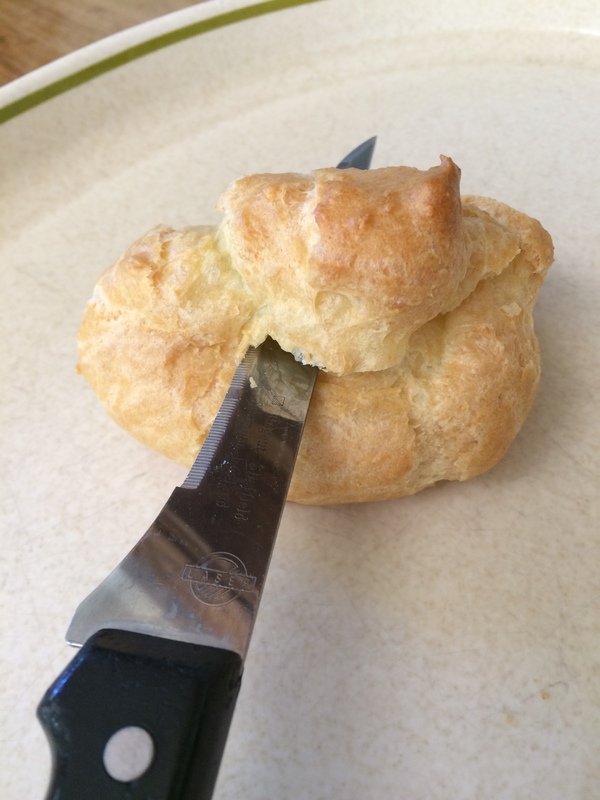 The cream puff pastry recipe comes from Betty Crocker’s Cookbook (1969). Heat oven to 400 degrees F. In a large saucepan, heat water and butter to rolling boil. Stir in flour. Stir vigorously over low heat about 1 minute or until mixture forms a ball. Remove from heat. Beat in eggs, all at one time; continue beating (I mean REALLY beat it) until smooth. 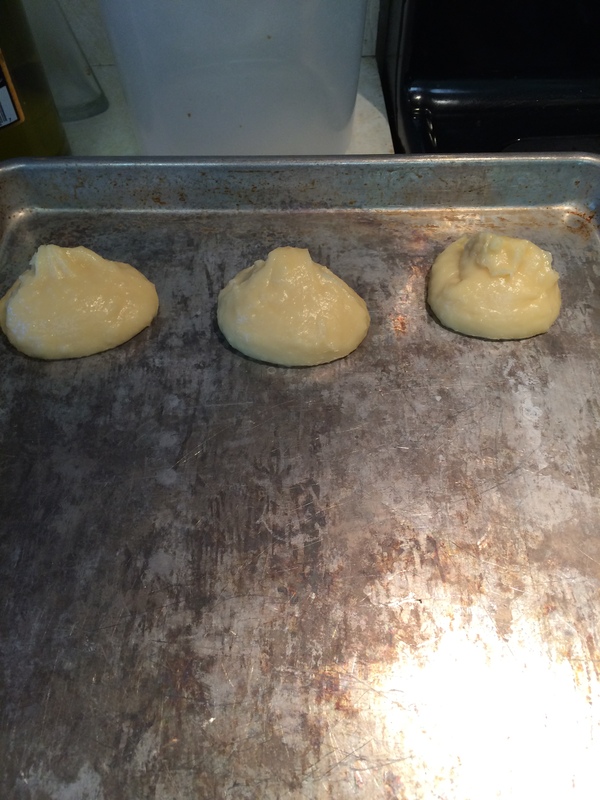 Drop dough by scant ¼ cupfuls 3” apart onto ungreased baking sheet. Bake 35-40 minutes until puffed and golden. Cool away from draft. Cut off tops. Pull out any filaments of soft dough. Carefully fill puffs. Replace tops; dust with powdered sugar. Refrigerate until serving time. 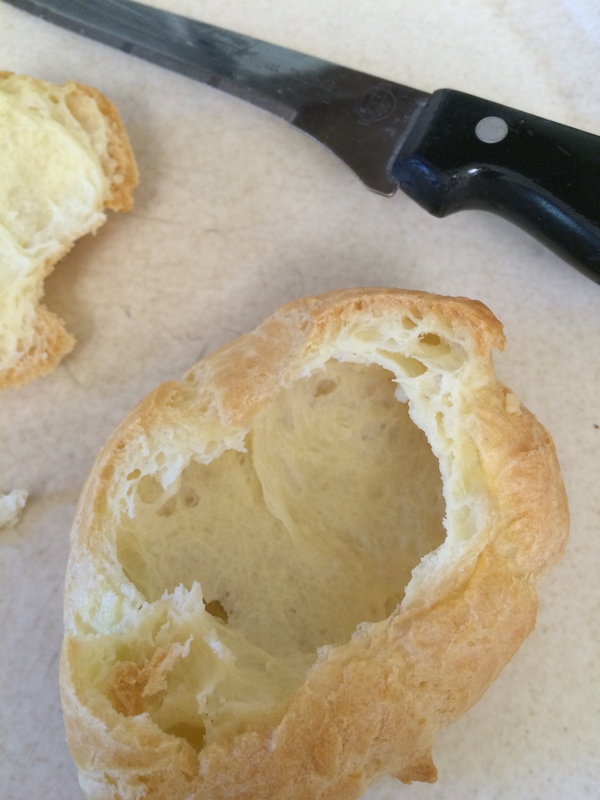 Makes 12 cream puffs. 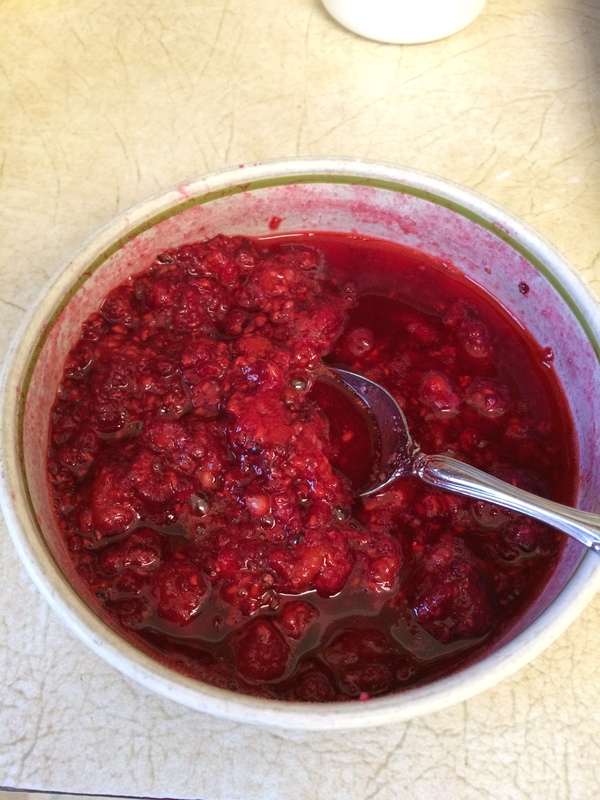 Place raspberries in a small bowl and sprinkle with sugar. Mash the berries with the sugar a little bit. Set aside for at least 15 minutes. 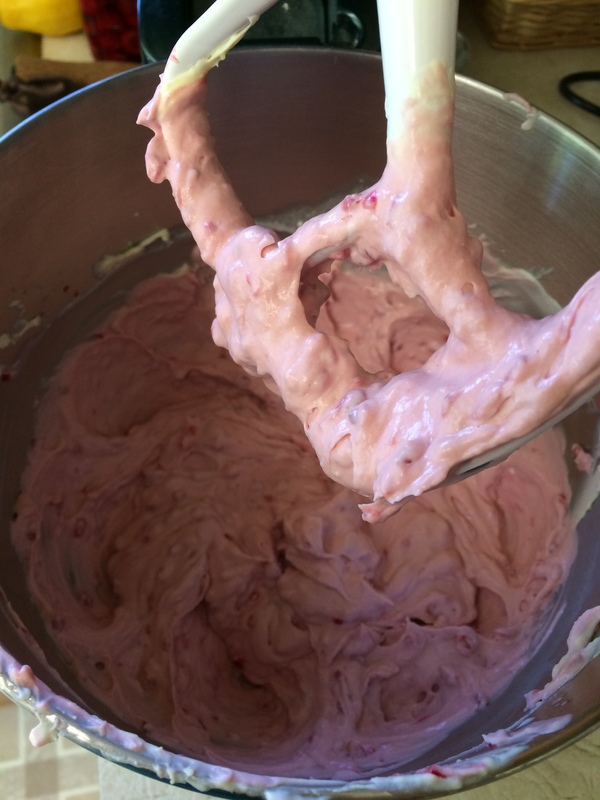 Mix yogurt and pudding mix together in mixer on low speed. 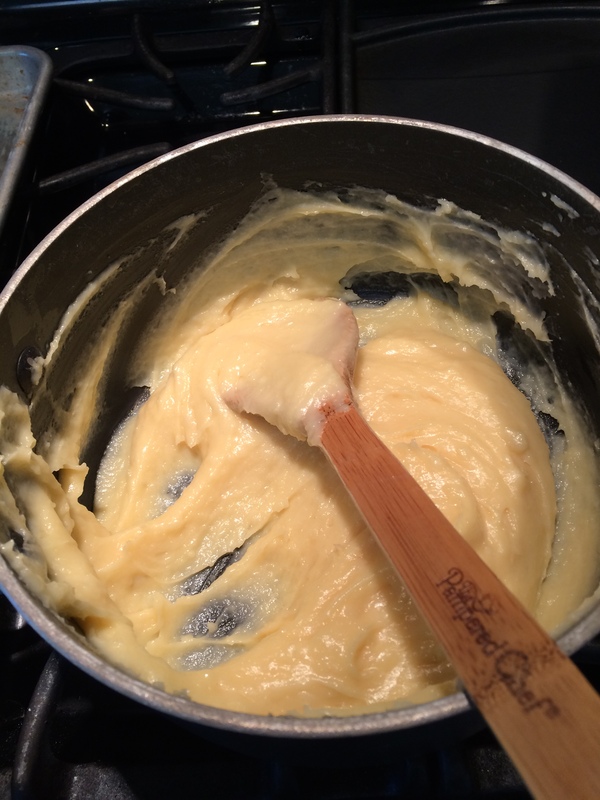 Add cream and mix on medium speed until fully incorporated and fluffy. Stir in raspberry-sugar mixture on low speed. Chocolate Filling: Blend 1 package chocolate instant pudding with 1 cup milk on low speed. Add 2 cups whipping cream and beat about 2 minutes on medium speed. 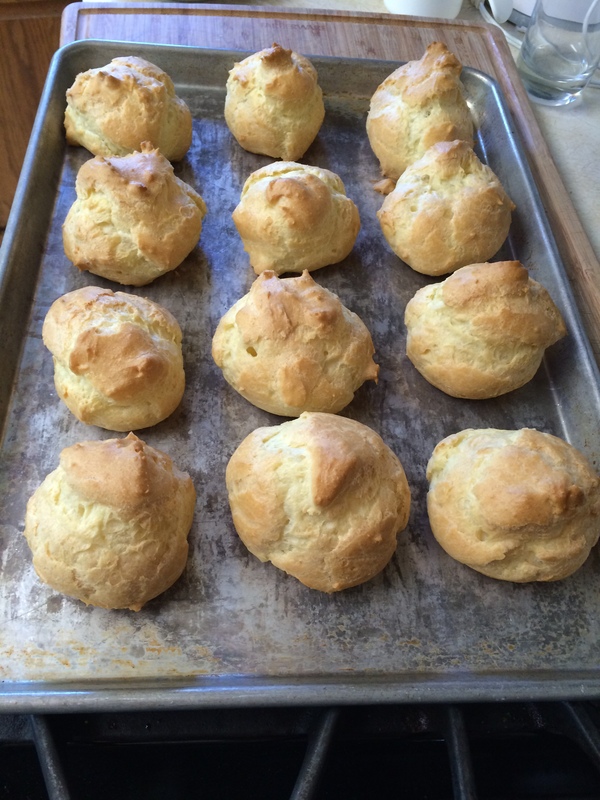 To make the Cream Puffs: Heat oven to 400 degrees F. In a large saucepan, heat water and butter to rolling boil. Stir in flour. Stir vigorously over low heat about 1 minute or until mixture forms a ball. Remove from heat. Beat in eggs, all at one time; continue beating (I mean REALLY beat it) until smooth. 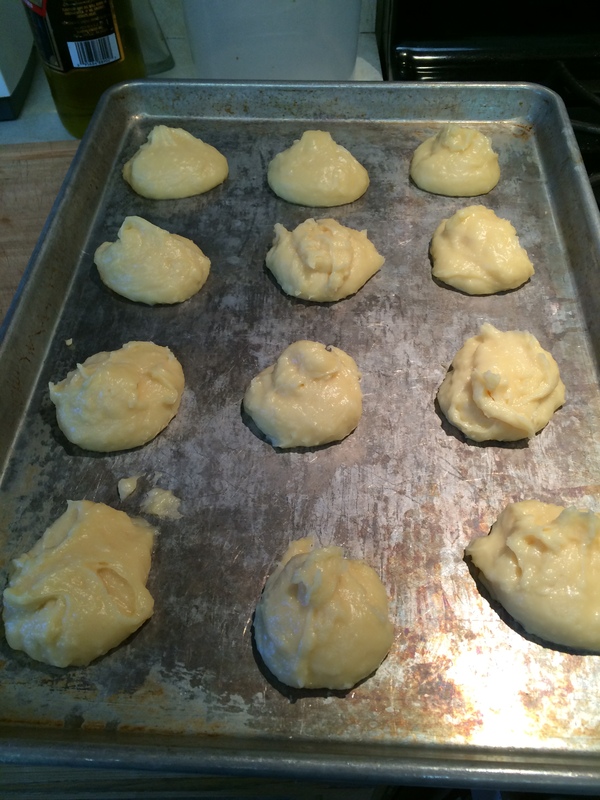 Drop dough by scant ¼ cupfuls 3” apart onto ungreased baking sheet. Bake 35-40 minutes until puffed and golden. Cool away from draft. Pull out any filaments of soft dough. Replace tops; dust with powdered sugar. Refrigerate until serving time. Makes 12 cream puffs. 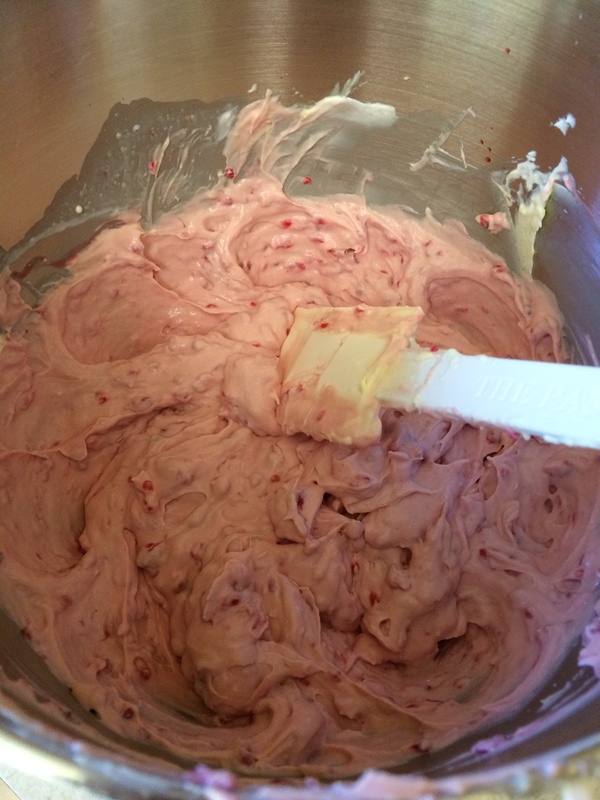 For the Raspberry Filling place raspberries in a small bowl and sprinkle with sugar. Mash the berries with the sugar a little bit. Set aside for at least 15 minutes.